Anyone For Anya? have a wonderful sketch to follow this week for their second challenge. 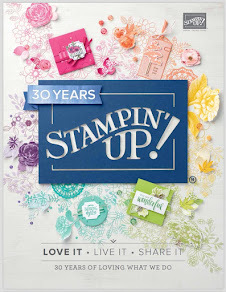 All products used are from Stampin' Up! unless otherwise stated. 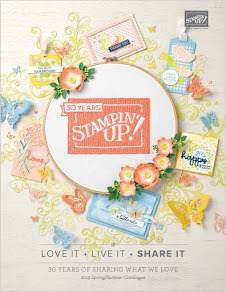 The flower was created using one of the Sizzix Flower Layers sets available. A big thank you to Sarah B of Card Oasis who let everyone know which was the one she uses to create her gorgeous flowers :o) I used another sizzlet die for the leaves. AWWW sOOOOO SWEET!!! What a darling image and colors! That is so cute! I know I've heard of Grace, but I don't remember seeing her before. Thanks for sharing this! Another Wow card! This layout is fabulous. I may have to use it!The paper and colors are gorgeous. Love that bling in the corners.and the flower sets the whole thing off. The greeting farm "Grace" image is too darn cute. Love it all Teri! 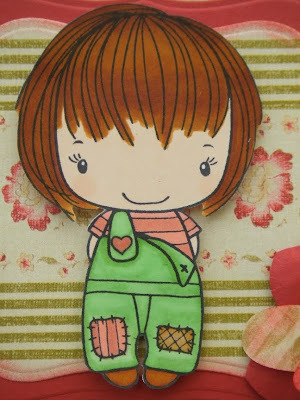 This image is so cute and I realy love the flower. Nice to have you in our AFA challenge this week! 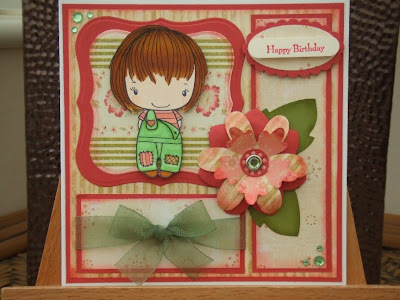 A really lovey card Teri, super image so beautifully coloured. Just love the colours youve chosen, quite seasonal!